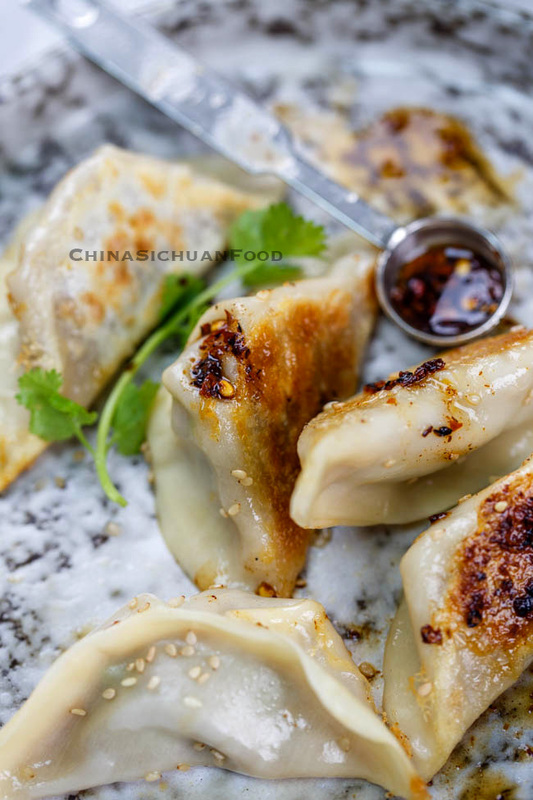 Chinese dumplings or jiaozi is a national staple food. 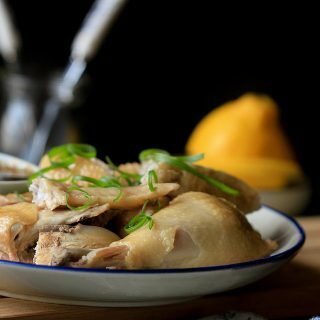 There are various flavors and fillings you can choose from if you are in China. 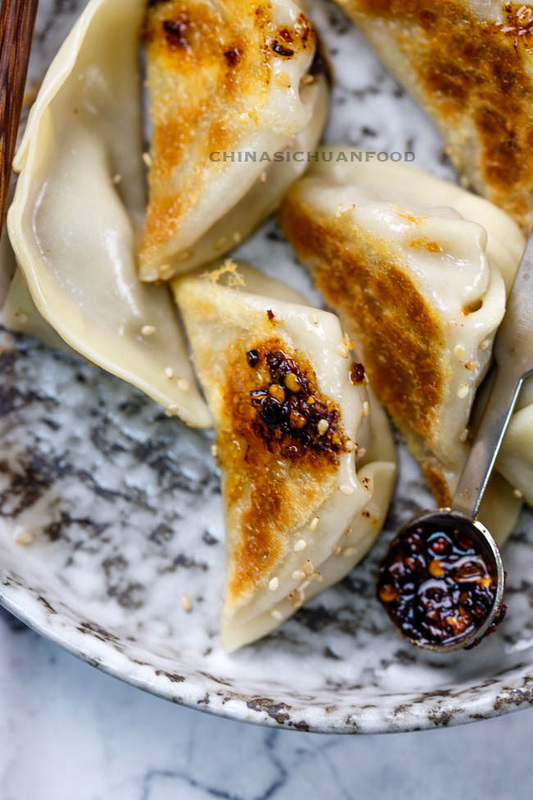 There is a popular frozen dumpling brand Wanzaimatou 湾仔码头, putting lots of efforts to develop fillings for dumplings and wontons. They are the top seller and the Chinese official worker are quite comfortable with the easy to cook frozen dumplings and wontons. 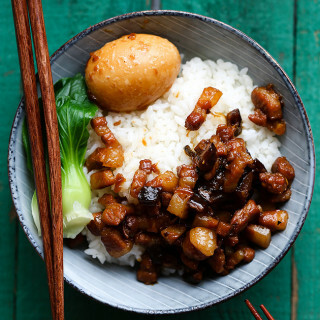 In home cooking, pork is considered to be the best and most popular filling for dumplings. On one hand, pork is much cheaper than beef in China. 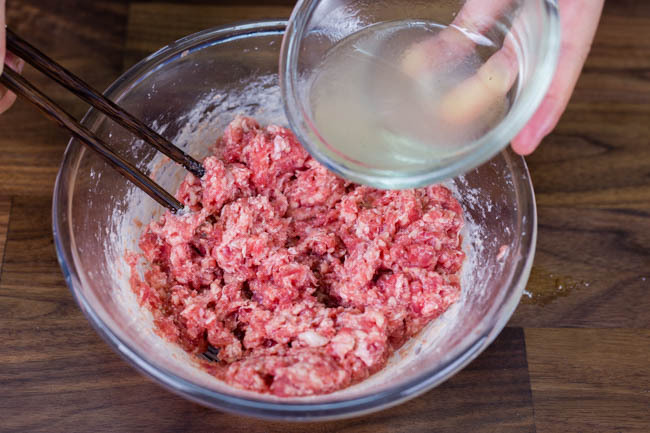 On the other hand, it is much easier to handle than beef as a filling because usually ground pork contains more fat, which is essential to juicy dumpling filling. Beef and lamb fillings are quite popular in Northern China, especially in Moslem district. When I was in university, there was a Moslem located at a corner of the dinning hall, but providing very yummy and juicy beef dumplings. The only inadequate of those dumplings in the memory was too much fat is contained. When I make my own dumplings at home, I make a lot of switches, from pork to chicken, from fish to beef. As a mom, I always want to bring more flavors to my young daughter, who definitely is a dumpling lover. After trying beef with lots of attempts, I found one secret weapon that can enhance the flavors of beef to another level, that’s Sichuan peppercorn. 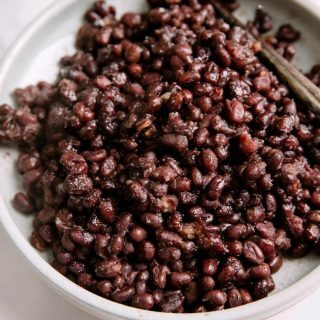 It is a magic spice which can reduce the smell of raw meat and improve the aroma of the beef. 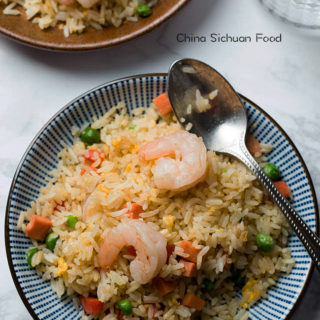 However, I do not want add Sichuan peppercorn or ground powder directly as they are perceptible and influence the vegetables too. The smartest method for me is to soak the Sichuan peppercorn with hot water or stock and then mix the flavored stock with beef. Choose ground beef with same fat. Usually ground beef contains less fat than pork. But you need to make sure that at least 15% fat is contained. Add enough water or stock and stir well so all of them can be well absorbed by the filling. 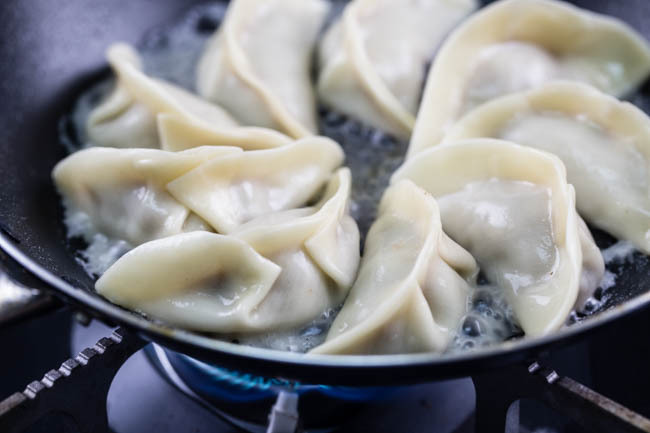 Mix vegetables just before assembling your dumplings.If the vegetables are added too early, the dewatering process happens, making the filling watery and hard to handle. Sorry this picture is blurred, but I believe you can judge how juicy the filling is. 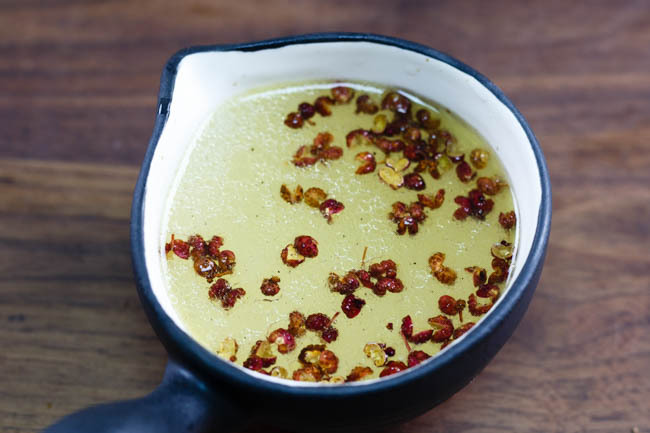 Soak Sichuan peppercorn with boiling hot chicken stock and set aside for 10 minutes. 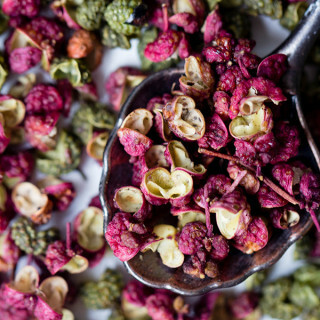 Strain and remove the Sichuan peppercorns. Add the ground beef in a large bowl and mix the chicken stock with beef by three batches. Each time after adding the stock, use a chopstick to stir it in one direction until all the liquid is absorbed. Continue stirring for couple of minutes after mixing all of the chicken stock until the beef becomes quite sticky and fluffy. Add ginger, scallion white, light soy sauce, salt, sugar, white pepper and sesame oil. Combine well. 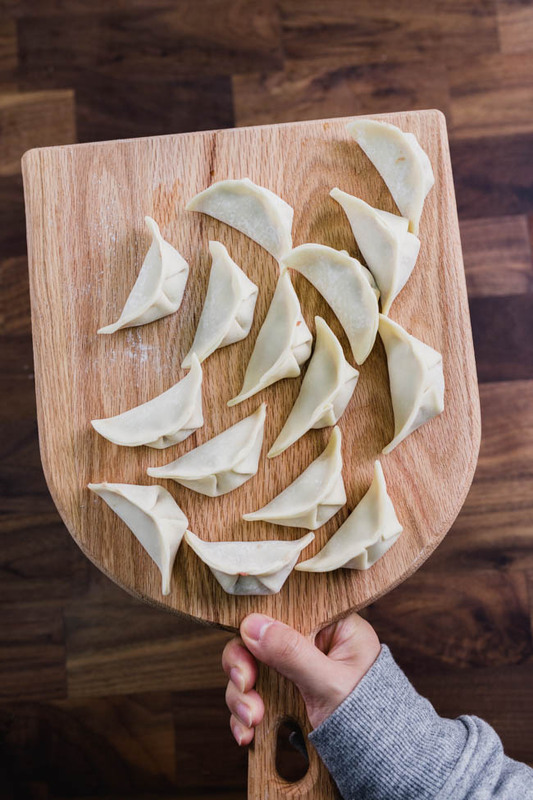 Set aside until making your dumpling wrappers. 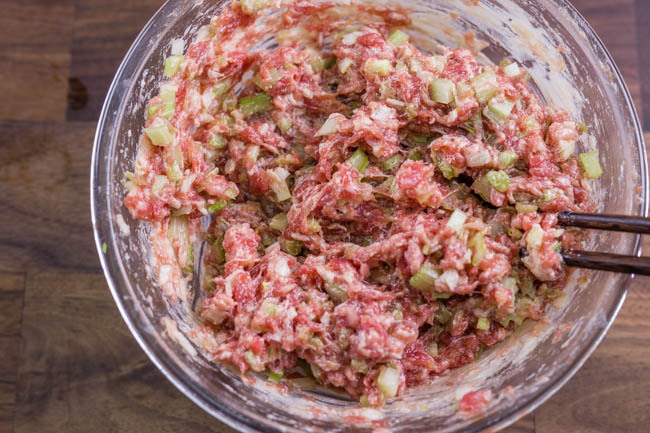 Before assembling your wonton, mix chopped celery in. 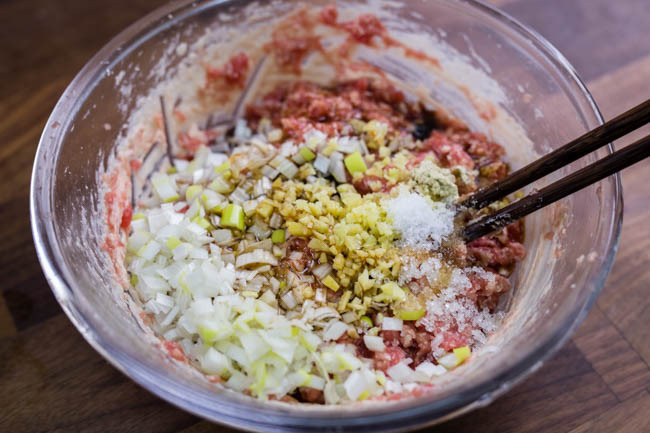 Scoop around 1 tablespoon of filling in the center and assemble the dumplings with your favorite method. 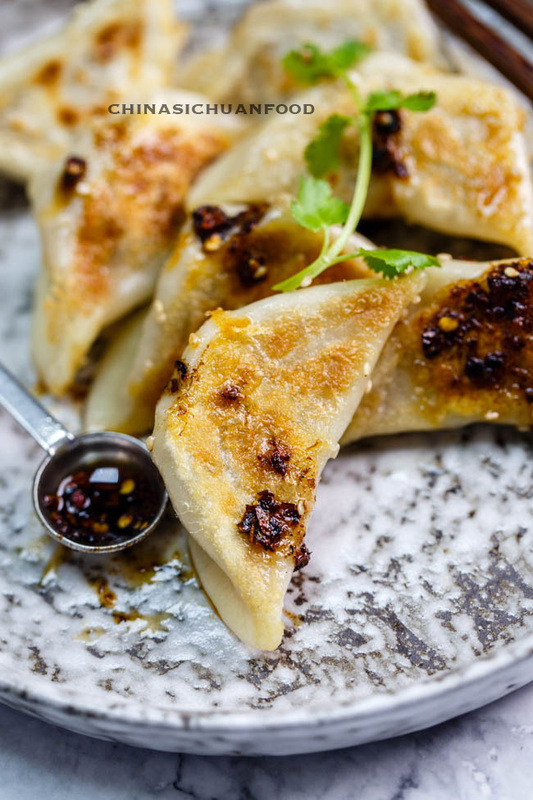 Repeat to finish all of the dumplings. 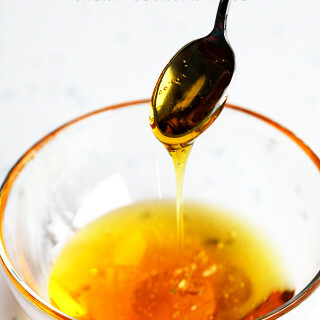 Over medium heat, heat around 1 tablespoon of oil in a nonstick pan. 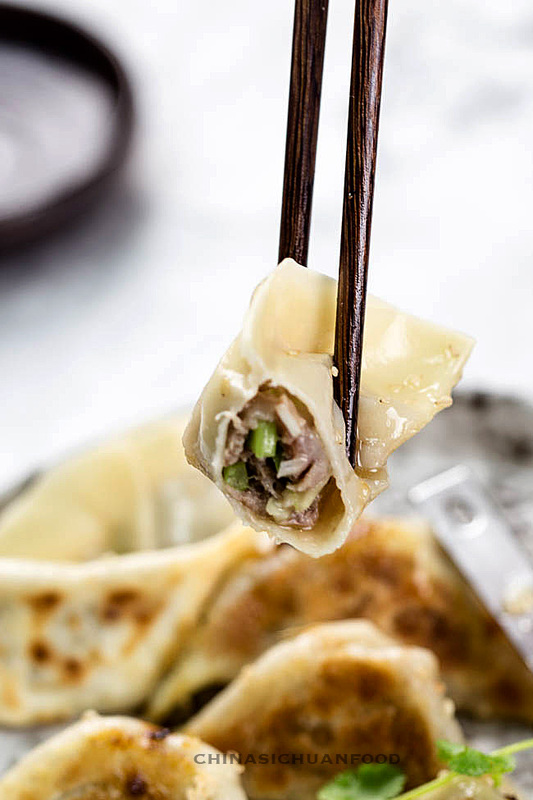 Place the dumplings in one by one. Fry until one side of the dumpling become slightly brown. Swirl around 1/4 cup of water in and cover the lid immediately. So the water vapor can cook the dumplings completely. After around 1 to 2 minutes, lift the lid and continue fry until crispy again. Bring a large pot of water to boil in a pot. Place the dumplings in. Stir gently to prevent the dumplings stick to the bottom. Cover the lid and wait for the second boiling. Slightly pour a small amount of water can help to speed up the boiling process. Continue cooking until the dumplings are swollen and slightly transplant. 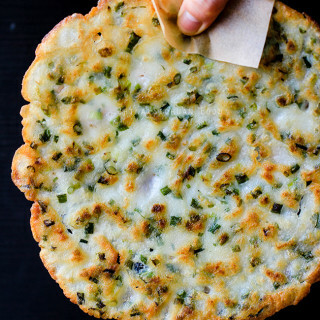 Transfer out and serve directly with dips (usually vinegar +ginger shreds). The Nutrition Facts is based on every single dumpling. I grind my own pork and use that for the meat in my dumplings and eggrolls. I don’t break out my big grinder very often so I’m super excited to try your dumplings with ground beef! So much more accessible and convenient than grinding pork. They look fantastic and juicy, too! 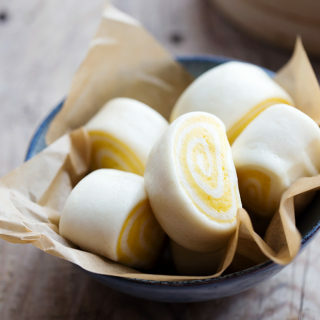 I promised myself to master your dumpling dough recipe, too. With snow forecasted through Christmas, I see a dumpling party in the works Ü THANK YOU! Hi Elaine! I love the recipes on your blog! 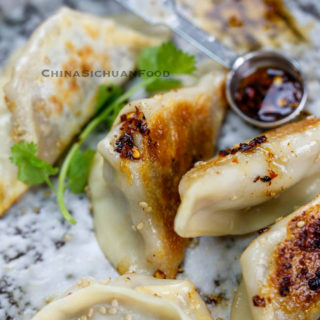 I want to try these dumplings tonight. 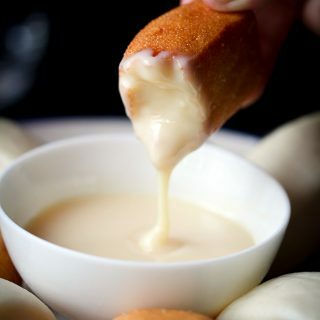 Do you have a recipe for the dipping sauce that you get in Chinese Anerican restaraunts? Thank you! I am based in China. So I am sorry that I cannot provide the exact recipe for Chinese American restaurants dipping sauce.